Sealeze has taken a proven snow protection product, developed by its sister company in Europe, and redesigned it to work on the North American rail system. SnowProtec® provides advantages over other switch cover products to enhance the effectiveness of conventional switch heaters. SnowProtec can be left in position year around and no disassembly is required with original fixed bracket design or use the enhanced optional hinged bracket for easier rail switch inspections and removal in the spring. 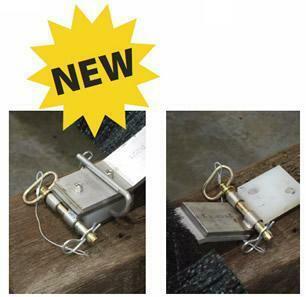 SnowProtec sets a new standard for simplicity, economy and safety. 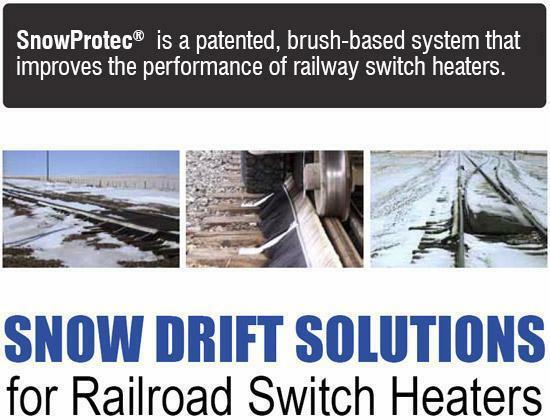 SnowProtec, protects railroad switches from the effects of snow and ice. This patented product consists of brushes with filaments facing up and down, angled from the top of the rail ties on the outside to the top of the rail along the switch tongue’s movable part. The brush provides protection against snow drifting while making the switch-heater more effective and efficient by enhancing the retention of heat from the pre-warmed switches.